We spend the bulk of our time indoors, be it at home or school or the office. Therefore it is vital to ensure that the quality of air indoors, is that of a high standard. 1. Trichloroethylene Trichloroethylene This can be found in printing inks, lacquers, varnishes, paint remover and adhesives. Depending on the amount of exposure to this toxic agent you could experience dizziness, headaches, nausea and vomiting. 2. Formaldehyde Formaldehyde Formaldehyde is usually found in paper bags, paper towels, synthetic fabrics, waxed papers and tissues. These all sound like pretty normal everyday things however short term exposure causes irritation to the nose, mouth and throat and in severe cases, swelling of the larynx and lungs. 3. Benzene Benzene This substance is used to make plastics, resins dyes and detergents. It can also be found in tobacco smoke, vehicle exhausts and furniture wax. Short terms exposure symptoms include dizziness, drowsiness, increase in heart rate, headaches and in some cases can even result in unconsciousness. 4. Xylene Xylene Commonly used in the leather and paint industry – this toxic agent can cause irritation to the mouth and throat, headaches, liver and kidney damage as well as a coma! 5. Ammonia Ammonia Ammonia is found in your everyday cleaning agents such as window cleaners, fertilizers and floor waxes. Symptoms associated with short term exposure include eye irritation, coughing and a sore throat. 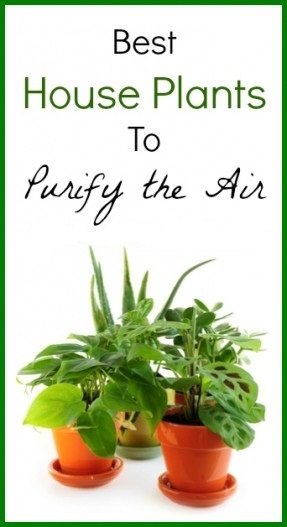 Here is a list of indoor plants which are most effective at filtering these harmful toxins and pollutants from the air.